This book demonstrates that God does not go backward, that divine revelation marches forward. Do the Scriptures teach a Jewish-type millennium when God will turn back to animal sacrifices in a rebuilt Jerusalem temple? “Seven women shall take hold of one Man”—future or fulfilled? The battle of Ezekiel 38 and 39—future or fulfilled? The conversion of the One Hundred and Forty-four Thousand—future or fulfilled? The coming of Elijah—future or fulfilled? Two thousand years ago, Jesus said the kingdom was at hand. Did he then “postpone” the kingdom because the Jews rejected Him? Is Christ’s kingdom a present reality? Is He King of kings now? 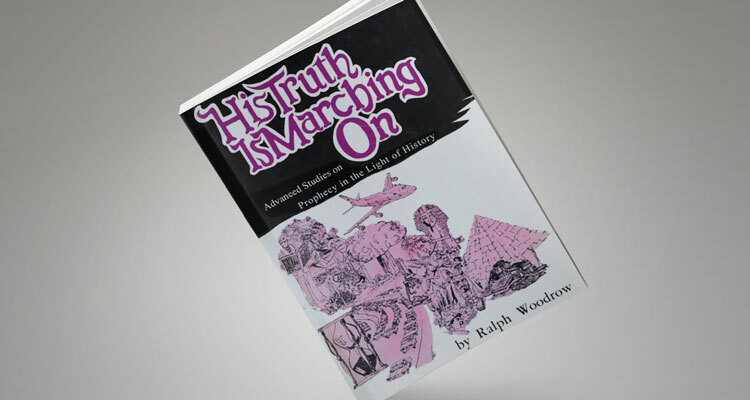 HIS TRUTH IS MARCHING ON also takes a close look at the history and folly of “date setting” 1844, 1914, 1988, etc. Which Year Will Christ Return? Seven Women Shall Take Hold of One Man—Future or Fulfilled? The One Hundred and Forty Four Thousand—Future or Fulfilled? The Kingdom of God—Postponed or Present? Do the Scriptures Teach a Jewish-type Millennium?